The first SERN thematic activity “The Role of Multinational Corporations (MNCs) in Regional Innovation Ecosystem” was led by IKE2020 (Hungary), on the 8th of March 2018. Multinational Corporations are playing a unique role in the entrepreneurship ecosystem by investing in local markets. In many countries, they are not only buying new technologies, but also hosting new firms through incubator programs. They can also invest on a bigger scale in technology startups related to their line of business. That’s why startups can benefit from working with a larger and more productive firm which are hugely investing in research and development (R&D) and innovation. Simultaneously, MNCs can also invest in local startups. 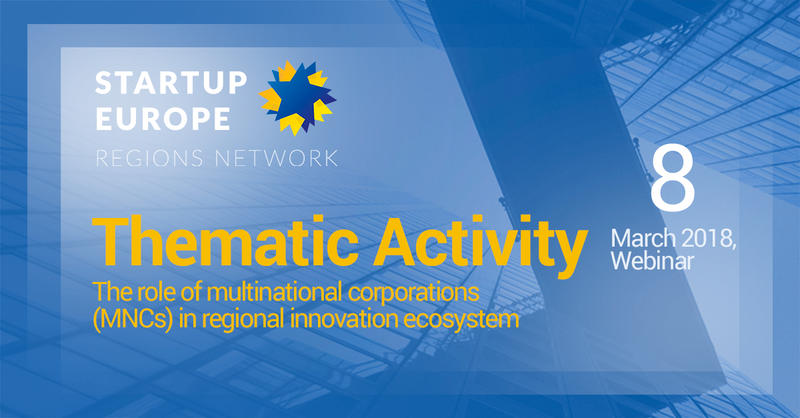 The webinar aims to present and to provide an overview on the developing relations between multinational corporates and local Hungarian innovation ecosystem.